The formation of atherosclerotic plaques in vessel walls cause stenosis and is a major cause of death in the United States. Quantification of the degree of stenosis can lead to life-saving surgery. We want to quantify the boundaries of the lumen to determine the degree of the stenosis. This information can be used to diagnose surgery. We want to use MRI images because of its high resolution and ability to delineate the lumen wall. The MRI images of human carotid arteries we studied had an outer boundary and an inner boundary. The inner boundary was the boundary of the lumen. We discuss modeling the lumen region, lumen boundary, and lumen quantification in this chapter. Also discussed is the analysis and quantification of vessel walls. For the outer boundary, the research will appear elsewhere. We developed a system which analyzed and quantified the inner boundary of the lumen. Given a slice of an MRI image of the left and right carotid arteries, the system detects and identifies the two different left and right lumen boundaries and quantifies them. The lumen is complicated to classify, since the blood in the lumen flows parabolically. Blood in the center of the lumen flows at a higher speed than the blood near the edges of the lumen. In an MRI image this difference in flow rates causes the center of the lumen to appear brighter than the edges of the lumen. When classifying the image, the classifier will fail to identify the entire lumen as one class, instead it will identify multiple classes inside the lumen. We used three different segmentation methods for the classification of the lumen region in our system. These are the Markov random fields (MRF), the Fuzzy C means (FCM), and the graph segmentation methods (GSM). The MRF method uses the Bayes rule to segment the image. It uses the expectation-maximization (EM) algorithm and is based on maximum likelihood. It segments the image into a given number of classes. The FCM method is based on the clustering technique. It computes the fuzzy membership function. It associates this function to each pixel in image. The GSM method is based on analyzing the image as a graph with the pixels being nodes and the edges being the connections between two pixels. It calculates weights of the edges and decides with a decision criterion whether there should be aboundary between them. Afterthe image is classified using one of the three methods of segmentation, the image is binarized to isolate the left and the right lumens. Since the lumens may contain multiple classes, the binarization process merges these classes when necessary. 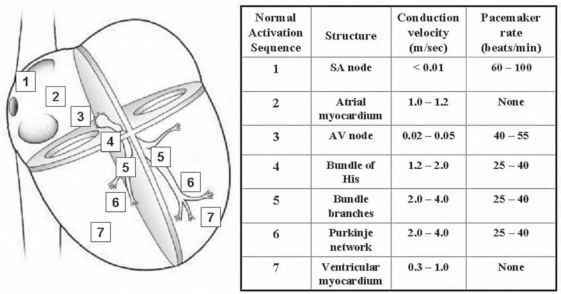 The carotid arteries bifurcate in the middle of the volume and the region of interest (ROI) of the lumens change from being a circular shape to being an elliptical shape. The binarization process uses both circular and elliptical masks. Once the boundaries of the left and right lumens were obtained, they were compared to traced ground truth boundaries using two methods of error computation between boundaries. We computed the error using the shortest distance method (SDM) and the polyline distance method (PDM). The PDM computes a lower error than does the SDM. We tested the system for the three different classifying methods, first on synthetic data and then on real patient volumes. 0.13 pixels; using FCM the average error was 1.54 pixels with standard deviation of 0.05 pixels. We ran the system using each of the three different classifying methods on real patient data. Ground truth boundaries of the walls of the carotid artery were traced for 15 patients. Overall the number of boundary points was roughly 22,500 points. A pixel was equivalent to 0.25 mm. Using MRF, the average error was 0.61 pixels; using FCM, the average error was 0.62 pixels; using GSM, the average error was 0.74 pixels. What is new in this chapter? The following are the new things the readers will observe when it comes to plaque imaging: (a) Application of three different sets of classifiers for lumen region classification in plaque MR protocols. These classifiers are done in multiresolution framework. Thus subregions are chosen and subclassifiers are applied to compute the accuracy of the pixel values belonging to a class. (b) Region merging for subclasses in lumen region to compute accurate lumen region and lumen boundary in cross-sectional images. (c) Rotational effect of ROI in bifurcation zones for accurate lumen region identification and boundary estimation.